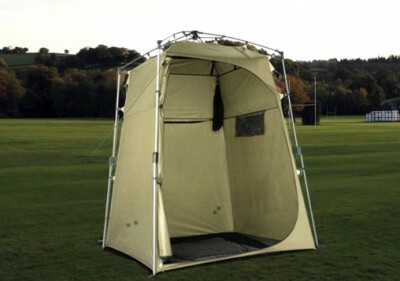 Our classic cabin tent offering 2 rooms at an affordable price. Two rooms for privacy or roll up the divider to make one large space. 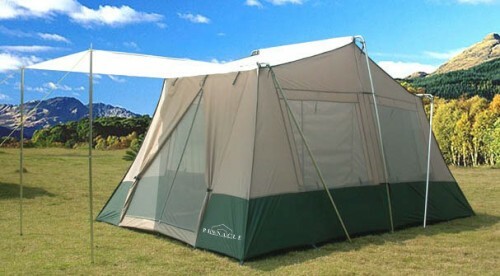 Complete with an easy to set up, sturdy, steel, truss type frame and front door awning for relaxing in the shade. 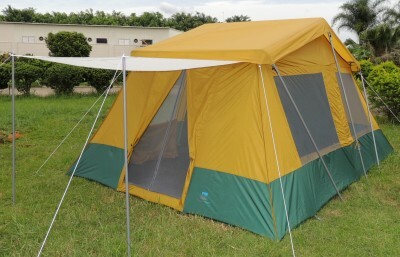 Your search for the perfect affordable classic cabin tent is over. Enjoy the privacy of having two rooms each with a separate entrance. Four oversize screened windows and 2 screened doors give you plenty of ventilation to let in those cool summer breezes. 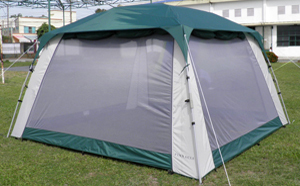 After a simple setup, enjoy relaxing in the shade under the front door awning.